The ANDRITZ Disc Filter is a vacuum-assisted thickening machine with rotating discs. 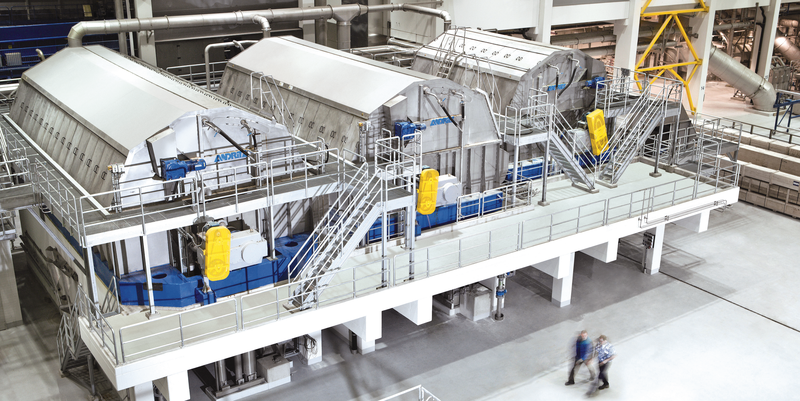 High equipment availability is achieved due to the disc filter’s ability to clean the face wire during operation. An open filter deck prevents deposits from accumulating, extends the life of the filter cloths, and reduces overall maintenance costs. The sector design and its low volume speed up drainage, increasing capacity and dryness of the fiber mat. The performance of the gravity drum thickener is based on 50 years of pulp dewatering experience. The Drum Thickener PRS is a simple, cost efficient, and reliable filter for dewatering stock and broke (virgin and recycled fibers) in a consistency range of 0.5–5.0%. The ANDRITZ HydroDrain HYD is a compact gravity thickener. It is insensitive to changes in process conditions such as throughput and inlet consistency. 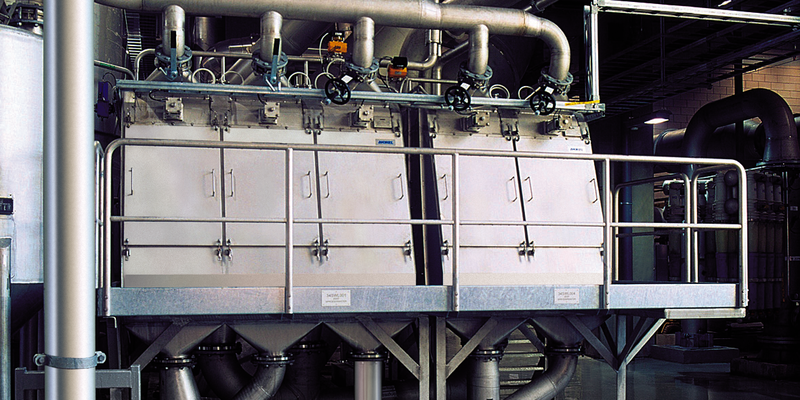 The ANDRITZ MicraScreen is a versatile, pressure-fed bow screen for various separation and fractionation applications in the pulp and paper industry. It can be used for fiber recovery, thickening, solids removal, fractionation, and fiber/filler separation. 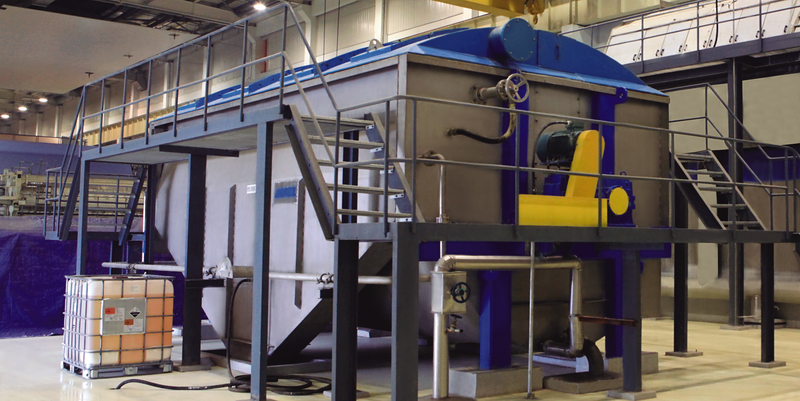 The ANDRITZ HydraScreen is a static bow screen for various dewatering and cleaning purposes. It can be used for fiber and solids recovery, thickening process and waste waters, dewatering of chips, washing, and barker drum water. 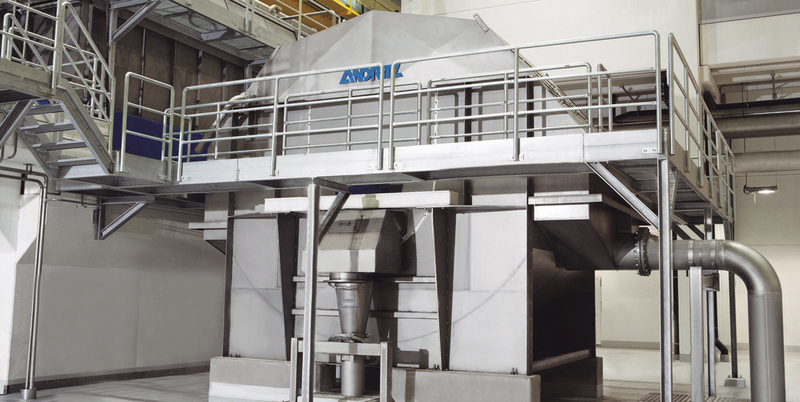 The ANDRITZ HydraScreen is a static bow screen for various dewatering and cleaning purposes in the pulp and paper industry.